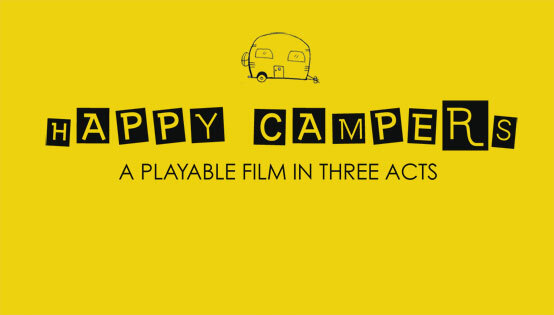 Happy Campers is an interactive experience that is part of the newly opened of Museum of wine and spirits situated in Stockholm. It is a hilarious “film-disguised-as-a-computer-game” that takes place inside a caravan on Midsummer Eve – somewhere in Sweden. With a lever and a steering wheel, the museum visitor is able to scroll over a laid table. Music and sound design by HL Sound & Music.